The Royal Meteorological Institute of Belgium (KMI/IRM) was given a Brewer by their counterparts in the Netherlands, KNMI. This is a Brewer Mk III, serial number 100 that has been operating for many years at the KNMI headquarters in De Bilt. 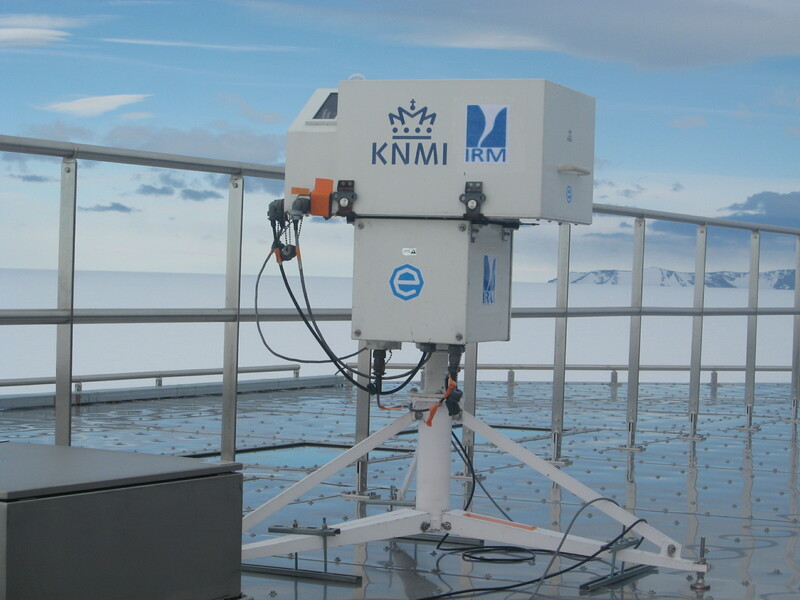 Brewer 100 was shipped to the Belgian Antarctic Station in October 2010, when the summer measurement season started, and it was installed by Alexander Mangold of KMI/RMI early in 2011. It is now making high quality Ozone and UV measurements. To be fully Antarctic-ready, a heater and a cold weather cover were installed. Princess Elisabeth Antarctica is the first “Zero Emission” polar station, run entirely on renewable energy sources. It is located at 71°57′ South and 23°20′ East, on the Utsteinen Ridge, North of the Utsteinen Nunatak, Dronning Maud Land, East-Antarctica. The altitude is 1300m and it is 190 km from the coast.